Today's influential artist is Neal Adams! If you've ever seen your comics characters as visually real, if you wanted to look at them and see if you could ever reach out and touch them, if you ever read comics where people looked like they moved at a breakneck pace, it's probably because whoever drew that comic was somehow influenced by Neal Adams. 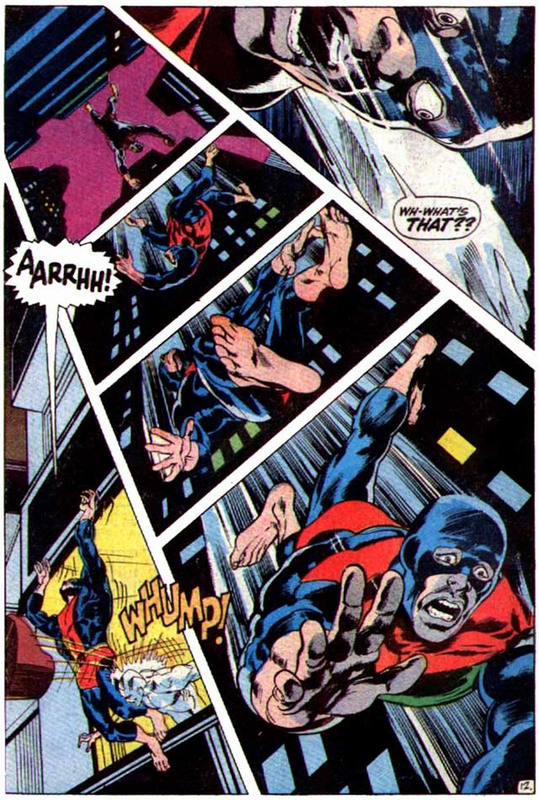 In The Silver Age of Comic Book Art, Arlen Schumer said that Neal Adams was DC's single bulwark against the artistic hegemony of Marvel's Jim Steranko and Jack Kirby. That's how good Adams was. 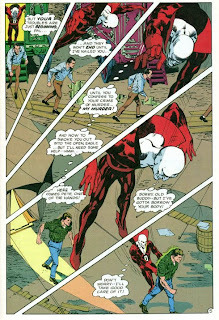 Where Kirby gave power and Steranko gave experimentation, Adams, at the same time, gave us an exaggerated kind of realism. I am well aware of the contradiction this term seems to imply, but what I mean to say is that in terms of perspective, musculature, expression, and everything, Adams knew what to emphasize to make it look real enough, and knew what to exaggerate to get the message across. 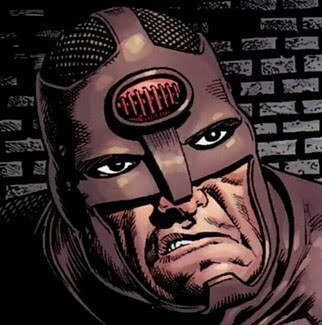 Can you imagine reading X-Men, and being used to more or less cartoony art in comics, and then all of a sudden seeing a panel like this? Or what about panel progressions? In those days when artists were looking for new ways to really animate their sequences, Adams really made them come right at you. His use of perspective, shadows, and foreshortening were unparalleled - and so ahead of its time. 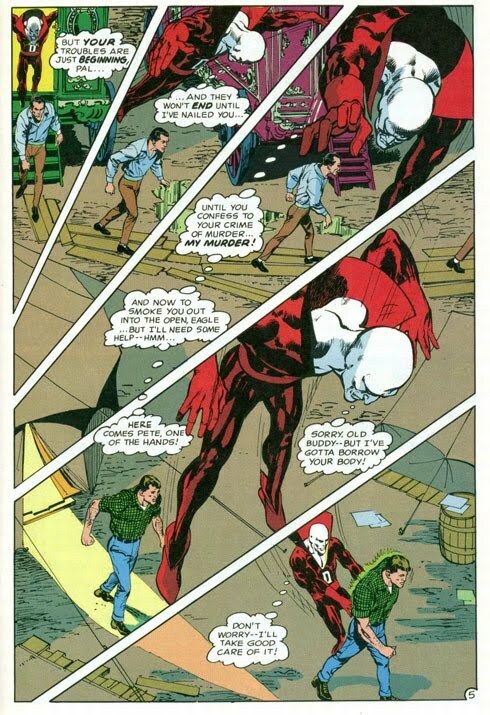 Here are a couple of examples, from Deadman and X-Men. 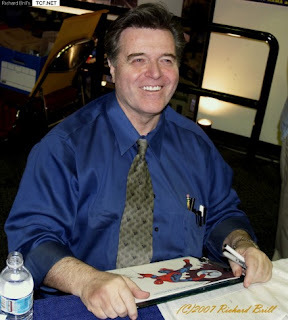 Neal Adams is, of course, known for chiefly two works, both of them with also-influential comics writer Denny O'Neil. 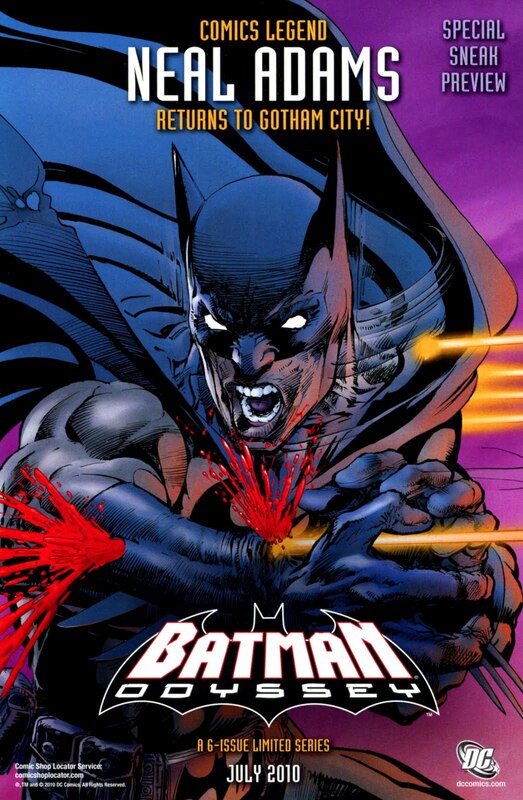 The first is their revitalization of Batman, which had been suffering from a sales slump after the Adam West series ended. Again, can you imagine watching the Adam West/Burt Ward show, and being used to the campy Batman (which was actually how Batman was in the late 50s to early 60s), and then seeing something like the way Adams drew Batman? 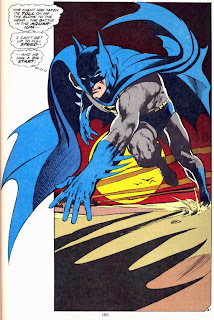 Neal Adams almost singlehandedly returned the "dark" to the Dark Knight, using foreshortening, perspective, and shadow work that hadn't been seen since Bob Kane was first working on the title. 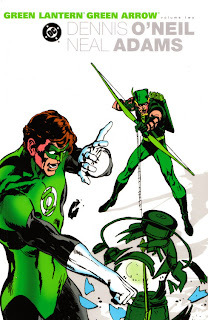 And of course, there's that other O'Neil/Adams series, Green Lantern/Green Arrow: Hard-Traveling Heroes, in which we see Hal Jordan and Oliver Queen tackle any evil that previously escaped Green Lantern's sight, namely social evils and issues. The panel sequence below is from the first issue, and it's been reprinted so many times and I really think it holds up as one of the most powerful sequences in the history of comics. 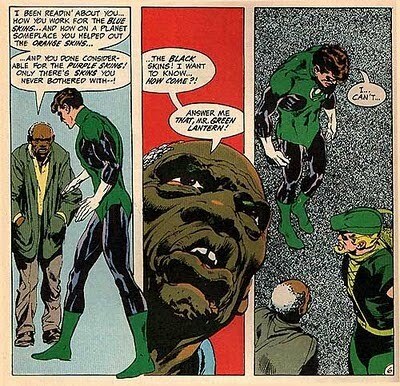 Neal Adams and Denny O'Neil brought real issues to the extraordinary world of superhero comics, and it worked, because Neal Adams made it look real. When a character got hit, you'd feel it. 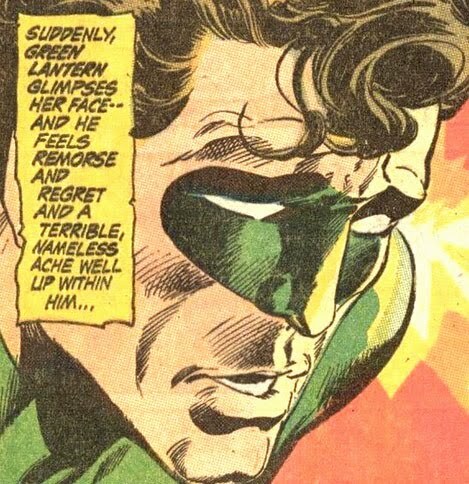 When he grimaced, you'd feel it. 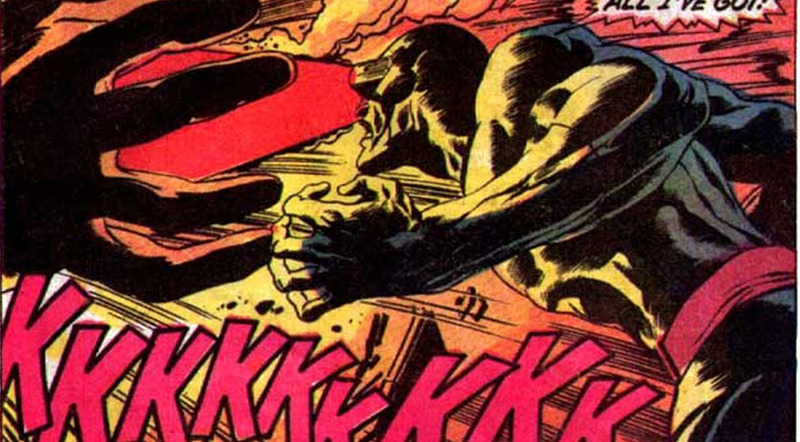 Neal Adams drew so that it looked like it was happening in front of you. I can honestly say from experience that finding the right balance between exaggeration and realism is a very tough task. 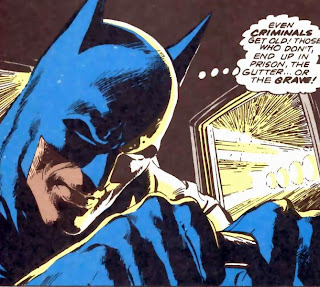 But under the pen of Neal Adams, it looks so easy. What Works of His Should I Buy? There is absolutely no substitute for Denny O'Neil and Neal Adams's Green Lantern/Green Arrow: Hard-Traveling Heroes, which is available in two trade paperbacks. 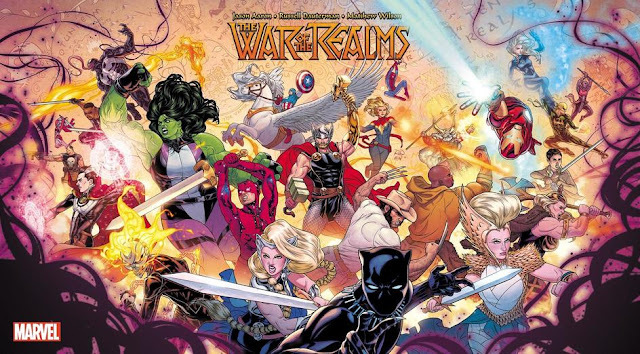 For the first time since the end of World War II, mainstream comics tackled social issues and introduced moral ambiguity. Sure, it's a little dated now - social relevance will do that to you, but it's still a good read with great art. And sure, they get preachy, but there is some attempt at presenting both sides of the conservative/liberal argument at the time. Racism, sexism, feminism, Native American bigotry, and more were read en masse by kids for the first time in these four-color pages. There are three books collecting Neal Adams's work on Batman. 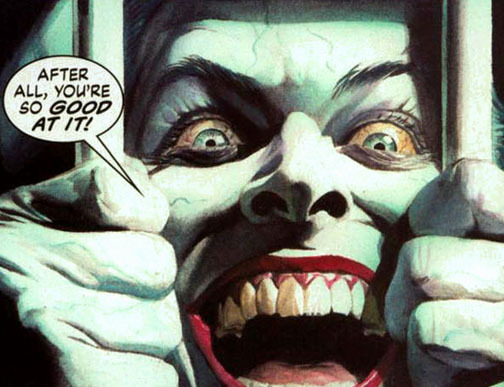 Notable stories include The Joker's Five-Way Revenge, which is the first story in which the Joker was reintroduced as Batman's premiere nemesis, as well as the introduction of Ra's Al Ghul. There is a new Adams Batman project coming out too. It's called Batman: Odyssey. 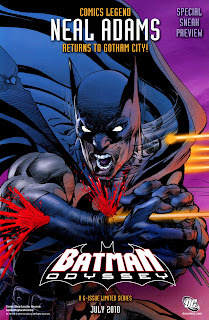 It'll be out in July, and quite frankly, it looks like Neal Adams hasn't missed a step. Of course, these are only a few examples. The truth is, if it ever looked like it was happening in front of you, it's because Neal Adams proved you could do it. Neal Adams has an official Web site right here.